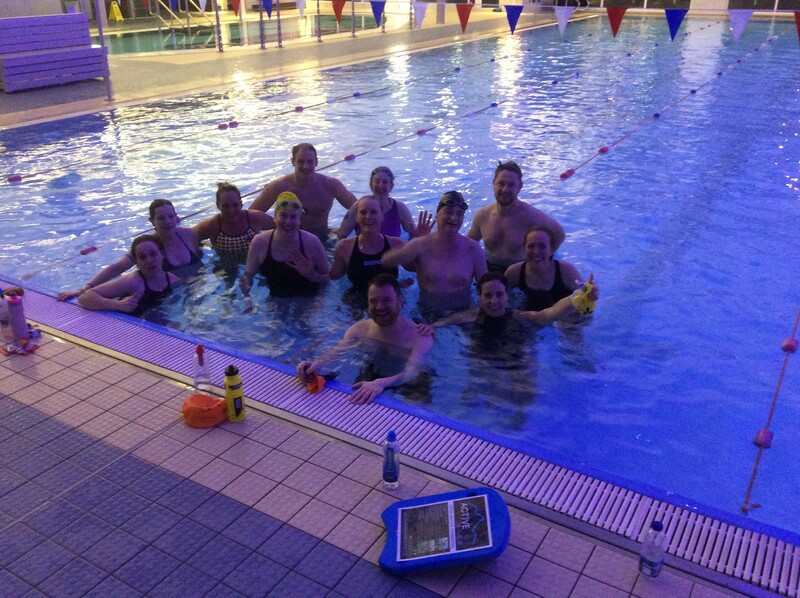 What an end to the year – Unfortunately the North suffered some of its worst floods ever and as a group of swimmers we decided what a better way to raise money then swim for 12 hours. The Active Blu Coaches had a team, the Active Blu squad had a team, the 315 Health club Staff had a team and also their members had a team. 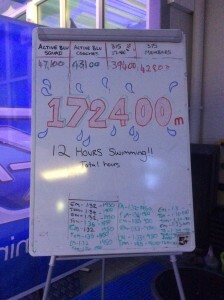 So thats 4 lanes swimming for 12 hours. 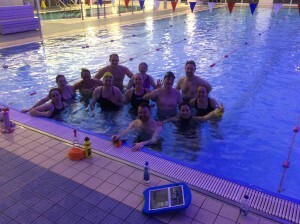 I have to say it was a lovely thing to do for such a good cause – We ended up raising money for the people effected by the floods and also challenging ourselves and having fun along the way. The total we all swam over the 12 hours was amazing – In fact the distance would have covered this distance the floods actually effected. I wanted to thank everyone who donated and was involved and 315 health club for donating the lanes of the day. What a day of achievements of everyone.